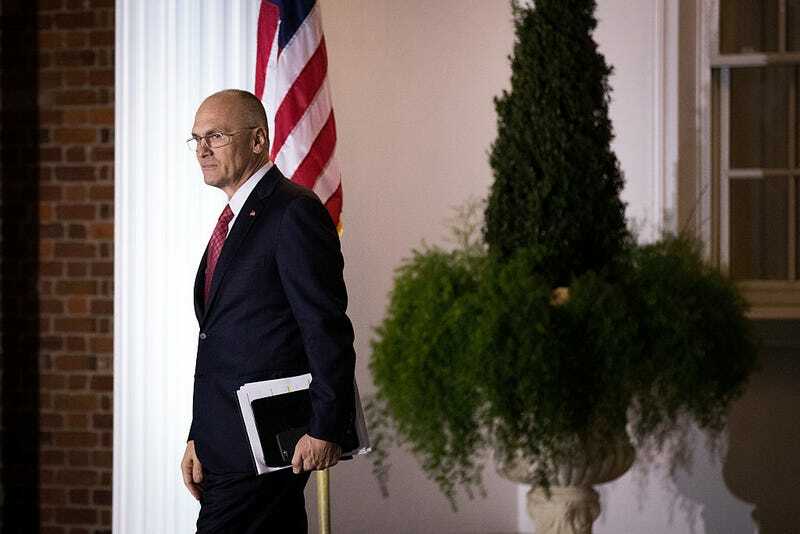 Andrew Puzder, the head of the parent company that owns Hardee’s and Carl’s Jr., paid an undocumented immigrant to work as his housekeeper for years, and of course, he’s Donald Trump’s pick to head the Labor Department. According to CNN, Puzder released a statement Monday admitting that he and his wife had employed the woman, but saying that they didn’t know she wasn’t legally allowed to be in the U.S. He also said that he and his wife paid back taxes that weren’t paid during the woman’s employment. “We have fully paid back taxes to the IRS and the state of California and submitted all required paperwork,” he said. As CNN notes, hiring undocumented workers has ruined Cabinet nominations in the past. Remember “nannygate”—the revelation that then-President Bill Clinton’s attorney general pick Zoe Baird had hired undocumented help? It sank her chances. But let’s say for the sake of argument that Puzder didn’t know that the woman who was working in his home was not a legal citizen. That isn’t even the biggest reason he shouldn’t be confirmed. According to court records viewed by Politico, Lisa Feirstein, Puzder’s ex-wife, claimed that she experienced domestic violence during their marriage. Feirstein recently retracted those claims, saying that she only made them to bolster her divorce settlement, and Puzder has denied abusing her. However, according to Politico, the retraction is being called into question by women’s advocacy groups, since Feirstein, then going by the name Lisa Henning, once appeared in disguise on The Oprah Winfrey Show claiming that she was the victim of domestic abuse. On the show, she was identified by the made-up name “Ann” and wore a wig and glasses to conceal her appearance. Critics say that one could ask, if the domestic abuse claims were made up only to bolster divorce payments, why would Feirstein go on a national television show in disguise to detail “made-up” abuse? But if those reasons still aren’t enough to question Puzder’s nomination, the Huffington Post notes that his fast-food restaurants have been found guilty of an extraordinary number of labor violations. A Republican source told CNN that Puzder may opt out of becoming part of Trump’s Cabinet.